If your business has a commitment to CSR and is active in that space, the advice from Ennis Chamber is not to be a fooled by this year’s looming deadline! You need to file your application by 12PM Monday 1st of April to be in with a chance of winning one of this year’s high profile Chambers Ireland CSR Awards. Chambers Ireland CSR (Corporate Social Responsibility) Awards are highly successful and very well publicised and as such are not to be missed. 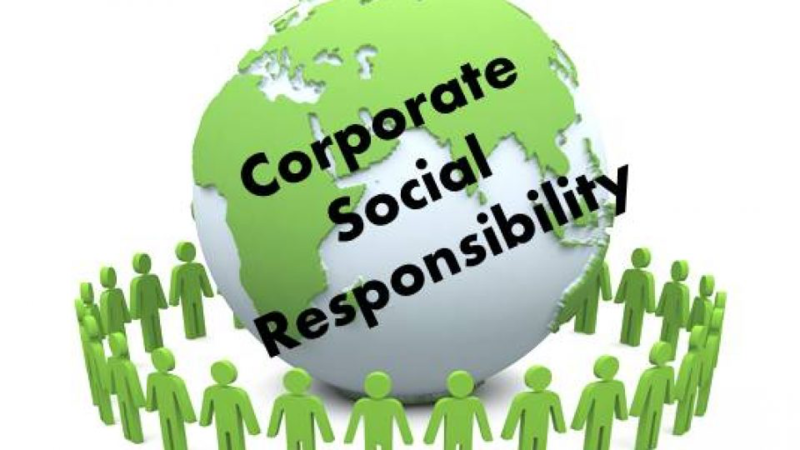 With more emphasis and importance placed on CSR on the agendas of responsible companies, Ennis Chamber urges its member companies to consider making an application. This category seeks to recognise initiatives that enhance the diverse environment of workplaces and foster inclusion for all staff. This category might include initiatives which examine who is being hired, who is being promoted, and what can be done to improve these practices to ensure no one is excluded based on gender, ethnicity, sexual orientation, disability or other traits. This category awards excellence in working with a partner charity. Businesses can partner with a charity in a number of different ways, for example, engaging in an awareness campaign with a partner charity, or providing operational and skills sharing which will support the charity’s work. This category aims to award a company for excellence in employee volunteering. Volunteering is a way for a business to give back to the local community by offering their time and skills free of charge. A community programme represents a sustained effort by a business to strengthen its links with the community in which it operates, and to have a positive impact on its locality. The programme should respond to a specific need in the community and should focus on the measures taken by a business to engage with the community and all relevant stakeholders on talking it. In following with the principle of ‘Think Global, Act Local’ this category seeks to celebrate organisations that have taken actions to improve their local environment. Companies are invited to report on projects that work to enhance biodiversity; reduce waste; or improve water or air quality. These activities could include campaigns to encourage greener behaviours or installation and restoration projects that have environmental improvement as their primary goal. Marketplace CSR involves incorporating sustainability and high ethical standards in the development and operation of a company’s operations, products and services. Marketplace CSR focuses on the relationships a business maintains with customers and suppliers. Key areas of focus include sustainable and rights-conscious procurement practices, products & services that have defined sustainability attributes and the ways in which a company provides services for a diverse range of needs across its customer base. Workplace CSR is about creating a happy and supportive environment for your employees. It involves going above and beyond what is required by business to ensure employees can develop to their full potential, and work in an environment that is welcoming and full of opportunities. This can range from sports initiatives, to flexi-hours, to mental health support or health initiatives. The communication and management of CSR are vitally important in highlighting the work that companies engage in. This category reflects the steps taken in CSR communications across the board, internally with employees on the company’s CSR work and engagement, externally with the charity partner or community, and wider again, with customers and external business stakeholders. CSR communications is about spreading the CSR message effectively and sharing best practice and knowledge in CSR work. Excellence in communications gives as many people as possible the opportunity to input and get involved in CSR. SMEs, though often operating with smaller resources and budgets, often engage in meaningful and high quality CSR work, and this category recognises the best practice by such businesses, which prove that size is not a factor in the capabilities of a business to make a positive impact in the world. The SME category applies to companies with 50 employees or less and recognises excellence in CSR in a variety of areas, all categories of projects can be entered. Keep up to date with the awards on Twitter and LinkedIn with the #CSRAwards2019 hashtag! Should you have any queries about your application please contact Carly.Mooney@chambers.ie.